Unless you’re living totally off the grid, it’s hard to ignore the signs. Church Christmas bazaars and crafts fairs pepper the New England landscape, their wreaths and wraps and wooden ornaments a constant temptation. Television relationships get warmer by the fire; the commercials all begin to come in red velvet and white fur trim. Even the older family down the street has gotten into the act, draping the gutters with fauxcicles, topping the old stump with a glittering wire angel, trimming the lawn with white plastic snowmen and skeletal reindeer that blink furiously into the late November night. I dither on this every year – far be it from me to provide the tipping point in a world where urgency for the next big event so easily smothers the authenticity of the here and now. But it’s not too early for the soundtrack to a season if people are already holiday shopping. And my tracking software tells me the hits for Christmas searches are on their seasonal uptick. So here’s the perfect alternative to crass commercialism and the acquisition drive: a reclaimed set of songs to kick off the season in style, geared towards the family hearth but open to children of all ages, merry and bright with the joys and hopes of the year, perfect for those long drives to the mall or the holiday feast. Most of these songs come from their own collections, so if the spirit moves you, don’t forget to click the links to share in the joy. I’ve also buried a few other holiday gift suggestions in the text this year, the better to guide your kiddie list shopping towards the earnest and honest. Heck, I’ve even added a zip file, for convenient downloading – an early holiday gift from our family to yours. Enjoy. We kick things off this year with a gentle non-denominational sing-along from our favorite “all ages” folk songstress (and hubby Daniel). Her debut You Are My Flower still makes the best birthing gift I know for the children of folkfans. A touch of Burl Ives and a healthy dollop of good humor make this a rollicking good rendition of a familiar classic. Originally from a 2005 solo holiday album recorded in an Adirondack cabin, but like the Kate Rusby track that follows, found on A Family Christmas, Putumayo Kids’ wonderful 2009 kidfolk-and-more collection. You’ll probably have to explain what wassailing is (it’s a lot like caroling, but with more feudal class consciousness, and an expectation of food, drink, and gifts in exchange for the song). But the joyous bounce in Kate Rusby’s arrangement, originally released on Sweet Bells in 2008, speaks for itself. A traditional canon from Colvin’s 1998 Holiday Songs and Lullabies, a perennial favorite for late-night holiday season snuggles. My six year old hums and wiggles along to this one as we sit by the fire playing Callisto. Both the game and the band come highly recommended for the bright pre-bluegrass set. The man who brought your kids the Curious George soundtrack lends his mellow acoustic surf-folk approach to an old favorite. Ah, the Rankin-Bass Christmas canon, now available in one great collection on DVD. 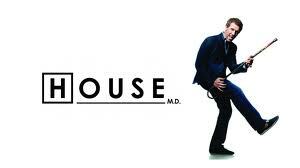 Sure, the songs generally pre-date the TV specials, but why make them stand alone? As one of our most downloaded songs ever, this yearly favorite from Apple’s 2003 holiday disc has proven its legs. Something new to our playlist this year: the Sufjan original is a grungy rocker, and the Luke Flowers indiefolk cover quite slow and mellow; The Standalone hew closer to the former, dropping the electric guitar for an acoustic, covering the spread with great folk-rock and an anthemic flourish. A live-track gypsy swing revival (with a hidden hillbilly verse, and a fake slavic coda) for the bloodshot set. Off A Christmas Spanking, which provides about as much playfully upbeat fun for the whole family as we’ve come to expect from the band. Don’t be deceived by its synthesized intro – this bouncy banjo punk track from the mid-nineties has an urgency that kids can’t help but feel in their feet. Bonus points for more Grinchiness; buy a set with book and the original video for the full effect. Though technically out of print, early Jim Henson TV special Emmett Otter’s Jugband Christmas isn’t hard to find in an age of instancy, and its message and its artistic craftsmanship are still relevant today, able to compete with the shiniest of the new. Rose Polenzani – whose YouTube Christmas coverage is legendary – hits its opening number out of the park, finding new sentiment in a sensitive tone. Yes, it’s the Chipmunk song; yes, the original drives many of us bananas. But solo artist Run On Sentence makes it sparse and sentimental without losing a whit of the energy or playfulness of the original. We’re eschewing the overtly religious in this week’s playlist, the better to encompass the breadth of practice in our readership and your modern family. But the recitation of the beasts in this old hymn have always struck me as childlike, and Sufjan’s warm approach to the song is magical, indeed. Families with a willingness to engage in the full religious range will enjoy the progression of sound from acoustic to electrofolk that runs through the five EPs of Sufjan’s christmas package – it even comes with stickers, stories, and a sing-along songbook. One of Vince Guaraldi’s finest becomes a sweet ballad in the hands of singer-songwriter Rosie Thomas, whose sentimental yet predominantly upbeat holiday album won our hearts several Christmases ago and still rings true today. The Snowman has a stronger presence in the UK, but both book and holiday special rank high in our home for their silent-yet-magical storyline, their vibrant colors and lines, and the tale of warmth and friendship they extend to the world. A stuffed snowman toy from Gund that was the wee one’s favorite soft companion for years comes highly recommended, too. 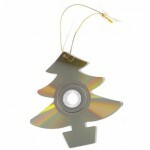 Snag the whole 2011 Cover Lay Down Kidfolk Xmas Mix as a zip file! 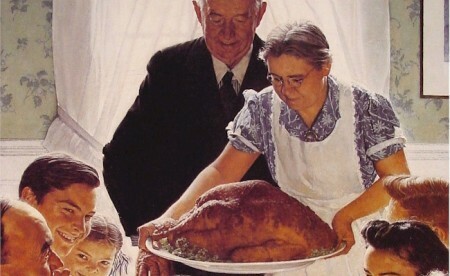 At its heart, Thanksgiving is a secular holiday. Turkey and stuffing, the obligatory family gathering, the long drive, the cornucopia, a football game by the fire, even the faux-feast pageant that still takes place in our local elementary school classrooms the day before the holiday break begins: these are the comfortable trappings of a life on pause for rest and relaxation, the gifts we grant the body and heart. They provide the perfect balance of humanistic and self-serving, but none involve God, save perhaps that single moment just before the plates are passed, where the silence lies heavy with Grandma’s grace, until it passes with her memory, and we eat until we are bursting. And yet spirituality is easily found in the celebration of hearth, harvest, and home. From the Pilgrim’s lot to the bountiful feast, both history and the Thanksgiving story make themselves available as homily, ones no minister can help but address on the Sunday before. Grace and gratefulness in the act of giving thanks; the social justice of the food pantry, and of sharing the table; even the multicultural coming together which frames the story of two peoples lends itself to sermon and theme. And there, alongside, we find the small set of hymns which have come to represent those themes. Many predate the particulars of our own American story, of course – but the adoption of the old ways into new practice is itself a reframing which we accept and even encourage, here in a land of free churches – the same land which first attracted those who wished to worship otherwise, and found themselves struggling on our shore. Come Thou Fount of Every Blessing, for example, is often framed and recorded as a Christmas song, but it easily redirects its narrative from Jesus to a song of praise for that which has come. And just as Norman Rockwell’s iconic scene sets a common template for the table and its company, the Appalachian revival of traditional hymn-to-folk songs Simple Gifts and Amazing Grace allow easy grounding in the soundtracks of a thousand American homesteads. We’ve posted most of these hymns before. 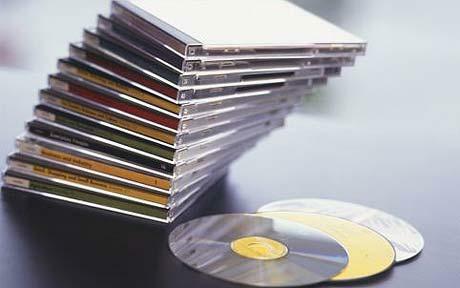 Though some are newer than others – Peter Mayer’s Holy Now, for example, has only recently found its way into the canon of the most liberal churches – all are found in the Unitarian Universalist hymnals, themselves a post-modern collection of songs from a wide diversity of traditions, one in keeping with the “truth where you find it” approach which typifies UU practice. 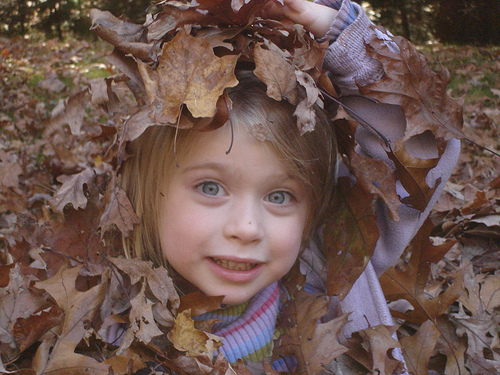 Enjoy them – and may whatever peace and revelation you seek grace your Thanksgiving table. I know we usually do single-song sets on Sundays, and I’d rather not bury last night’s feature post on Holly O’Reilly and other artists who have lost their voices to disease and damage. But I arrived home from work today to a warm fire and a family in smiles, and for the first time in weeks, there’s nothing on the docket: no rehearsals or dance classes, no choir or church, no dinner plans, just us. And there’s music on the stereo, and groceries on the shelf. The kids both made honor roll, and my wife made a t-shirt design for our upcoming production of Godspell. The waning light outside is cold, it’s true: winter’s coming, and the leaves and fallen branches weigh heavily on deck and lawn. The world ahead yaws and pitches, dark and mysterious, the flotsam and jetsam of a life well-planned almost visible off the bow. But for a few hours, the world is ours. Hit play to share the joy. Because songs speak for themselves; sometimes you don’t need to explain. Fiction Family is a folk duo comprised of Sean Watkins of Nickel Creek and Jon Foreman of Switchfoot; their sophomore effort is expected to drop sometime next year. Cover Lay Down admires their work. ’nuff said. One of the reasons I am so busy these days is that as a baritone, I am in high demand for local choirs and stage productions. It’s not just that I’m loud: As a trained vocalist, a stage actor, and a teacher, I pride myself in my control of tone and pitch and projected volume – all the subtle ways I have learned to shape sound to maximum effect in a variety of venues. It’s part of my identity: a nurtured talent, grown and trusted. When it is tired, I can feel it; when it is under siege, from nasal drip and overuse, I feel depressed and impotent. And if it ever went away, I’d feel the loss profoundly. I have nightmares in which I lose my voice forever, and these fears are not unfounded: it happens. Feist, for example, lost her voice on the cusp of fame the first time around, belting it out as a member of a punk band in the early nineties before taking several years off due to vocal damage. Though she’s since turned the remaining fragile, burned-out whisper into an asset – admirably, instead of sinking into despair, she was able to find another sort of beauty in the torn remnants of what was once clear and sweet – the damage could not be undone. I’m not so sure I could do what she has done. It takes a measure of humility which I do not possess, and cannot truly understand, to remake the voice like that. And there’s no guarantee that I’d have the chance, either. Sadly, though some singers, like Feist, have managed to turn vocal disaster into an asset, and others, like Adele, find that the damage they have done through an early career of belt and bellow vocal style is treatable and restorable, for many singers, such a middle ground is not possible. Despite recent reports of vocal restoration, there’s a difference between damage – which can often be fixed with care, and subsequently avoided through retraining – and the more extreme cases. When disease is the diagnosis, for many, it’s permanent. And losing the voice permanently, or even semi-permanently, is like a little death, or a death sentence, for musicians. It’s not as uncommon as you think, and it can be caused by any one of a set of medical issues, from the lungs to throat to vocal chord: Mary Lou Lord, for example, a contemporary of the Boston grunge and busker scenes who trends towards punk folk in her better moments, lost hers to spasmodic dysphonia, and though she is currently recording a new covers album, putting her back on our radar, she still struggles with the disease, which has kept her off the scene for quite some time; the same disease also kept folk musician Linda Thompson from recording and touring in the early eighties, since which she has produced just two albums. Joni Mitchell lost as much as two octaves, and her vocal purity, to years of smoking. Julie Andrews lost her singing voice permanently to surgery after developing nodules on her vocal chords through overuse in 1997 – a surprisingly common phenomenon in older singers of both genders. And Bridget Matros, who got a promising start in college with a debut recording alongside fellow students Josh Ritter and Guy Mendilow at Oberlin college in the late nineties, lost hers to acid reflux on the cusp of a promising career; though she did release a four track of abstract, layered vocal garageband experiments this year, they are more art than artifact. 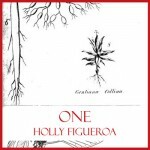 And then there’s contemporary folk singer-songwriter Holly O’Reilly (formerly known as Holly Figueroa), who lost her voice on stage at the Northwest Folklife Festival in 2009, twelve years, two Grammy nominations, and several major label offers into a blossoming and determinedly indie career. A visit to a specialist resulted in a diagnosis of both rheumatiod arthritis and ankylosing spondylitis, a pair of inflamatory diseases which ultimately affected both her voice and her hands, keeping her from singing and playing the guitar for a year – a great loss for O’Reilly, and for the folk community. In One, the covers record in question, O’Reilly is singing on borrowed time, and it shows: her voice changes subtly from track to track. But the songs are sweet nonetheless, and stunning, and poignant with her craft and talent as much as with her history. O’Reilly is strong, though she is clearly affected by her struggle and the ticking clock; all of this and more pours through even the most torn of tracks. And the song choices are inspired: every performance, from covers of REM, U2, Slipknot, Oasis, Paul Westerberg, Springsteen, Tom Petty and Joe Henry, speaks to a wellstorm of emotion, spoken clearly and eloquently, in an act of true song ownership. Her cover of One Headlight, alone, dark and dirty with dobro, perfectly pitched in every tone, makes this quite possibly the best cover album of the year, a dark horse contender from all the way back in January. Her cover of Freedy Johnston’s This Perfect World is haunting. Her take on Wonderwall breathes a sort of broken life into the song, its slow build into broken hope a triumph of transformative song. Put them against her 2007 cover of Leonard Cohen’s Everybody Knows, recorded before she began her long journey through illness and loss, and – like every other song on this perfect collection – they grow all the more stark, all the more poignant, all the more potent, for the difference. That these songs represent, in other words, the second act in a final play, the last farewell to a life lived in voice, is not where their strength lies. It is, instead, in the power of the musician, working with a tenacious instrument, and other people’s songs, to maximum effect. Beauty and pain, and some bonus tracks from O’Reilly’s fellow sufferers, follow below. It’s how they wear their scars that make them beautiful. It’s been a solid year for full-album coverage from single artists. Kris Delmhorst’s summery Cars tribute and Thea Gilmore’s transformative Dylan tribute alone held the line for excellence in the singer-songwriter categories. Eef Barzelay’s Journey project, which transformed my childhood poprock into poignant, soulful solo pieces, turned out to be a great success; so did Ralph McTell’s Dylan EP, duo Thomas Fox’ tradfolk release, Sara Lov’s full-album cover set, and Reid Jamieson’s birthday tribute to his wife through the songs of 1969, an unexpected March project which we presented as a free exclusive. And April brought a slew of strong contenders, enough to justify a four part Tribute and Cover Compilations Week: from Laura Cantrell’s countrified tribute to Kitty Wells to the bluegrass of Michael Daves and Chris Thile to the aforementioned disc from UK Gilmore, who is fast becoming a favorite voice among the multitudes. And it’s shaping up to be a great year for multi-artist tribute albums, too. We’ve covered several of these, from Paint It Black, Jim Sampas’ well-curated alt-country tribute to the Rolling Stones, to last week’s amazing Vic Chesnutt tribute, Red House Records’ second Nod To Bob singer-songwriter tribute, which still lives in my car CD player months after its midsummer release, and the indiefolk Sufjan Stevens tribute project Seven Swans Reimagined. 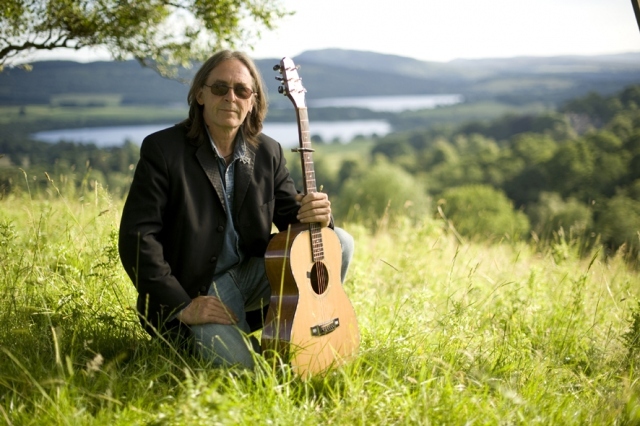 And we’ve mentioned more in passing: Herohill’s extended paean to Gordon Lightfoot, for example, never made it to these virtual pages, but I still have high hopes for a feature on the Canadian folksinger’s work in the near future built around those tracks and more. There’s a few worthy but harder-edged discs receding into the near horizon, too: that indie Muppets thing, which featured an english-language version of the Andrew Bird’s take on Being Green, featured in our late-summer kidfolk tribute to the songs of Sesame Street, and Q Magazine’s new Achtung Baby tribute, which is pretty much all rock and high-energy alt-indie, save for this hauntingly delicate, soaring cover of One by Damien Rice which easily makes the shortlist for best coverage of the year. But the year’s not over yet. This One’s For Him, a two-disc Guy Clark tribute, was apparently released this Thursday in CD form only (no digital) via the Icehouse Music website; we haven’t heard it yet, but the artist roster is quite impressive indeed, and we have high hopes for tracks from Shawn Colvin, Hayes Carll, Robert Earl Keene, Patty Griffin, Lyle Lovett and more among the rest of the multi-generational country-and-then-some balladry we’ve been promised. American Laundromat Records, whose kindie comp so tickled our fancy last year, will release Please Please Please, their long-awaited Smith’s tribute, on December 13, and here, too, the artist roster is quite promising, with many CLD faves – Dala, Elk City, William Fitzsimmons, Sara Lov and more – heading the bill. On the not-folk front, Sampas ends the year with a bang and an altrock/indie Nirvana tribute; the combination promises loud and squaly, but given the producer’s reputation, it should be great all the same. And then there’s these tiny, precious darlings – two new EPs, a kindie record, and a collection of old blues standards which dropped into my lap just yesterday. 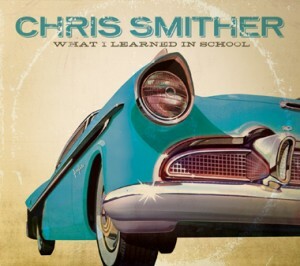 Chris Smither‘s new EP What I Learned In School was recorded plugged-in and in-studio on a lark during breaks from his next album, and I’m proud to be one of the first to mention it on the web: Smither, who first made his name via coverage and support from the likes of Bonnie Raitt in the seventies, is an amazing performer and a deeply empathic bluesman whose output continues to mature as he ages – his 2006 take on Dylan’s Visions of Johanna is one of the truly great covers of the last decade – and we’ve long admired his work here, ever since we first featured him back in 2007. The EP, which features six classic early Rock and Roll tracks from the likes of Buddy Holly, The Everly Brothers, Chuck Berry, Hank Williams recast in Smithers’ inimitable high-tension vocals and folkblues fingerstyle, is only available at shows and direct from the label in simultaneous CD-and-digital form; I recommend the live show if you can find one, and the album either way. 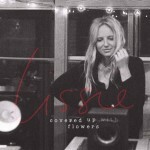 On the other end of the folk spectrum, contemporary folkrock popstar and Paste magazine darling Lissie‘s newest EP Covered Up With Flowers is slight, at five tracks, and only partially new: her Lady Gaga and Kid Cuddy covers have been around for a year or more, though the latter is represented here with a fine new live recording which sweats and sways terrifically, and her Bad Romance certainly bears repeating. But the new tracks on the EP, which cover Metallica, Nick Cave, and Joe South, are equally unexpected, equally well-suited for the bright, shimmering urgency of Lissie’s voice, and worth the purchase price; I’ve chosen the slowest to feature, but definitely check out the full set for the full range of energy, and echoes of influence from Jefferson Airplane to June Tabor. As a bonus, the prolific up-and-comer has also just released a solid live CD/DVD recorded last year around the holidays; this unreleased encore from the concert in question, stripped from YouTube, says everything it needs to about that voice, that channeled emotion, that rise to fame. 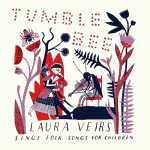 Don’t let the haunting echo of the production on this first track below fool you: though she’s more popularly known for a decade of well-produced and well-crafted contemporary singer-songwriter work, Laura Viers knows her tradition, and her new kindie record Tumble Bee: Laura Veirs Sings Folk Songs for Children, released this week on her own private label and already topping the Children’s charts at iTunes and Amazon, joins classics like Guthrie’s Songs To Grow On For Mother and Child, Pete Seeger’s Birds, Beasts, Bugs & Fishes Little & Big: Animal Folk Songs, and Garcia and Grisman’s Not For Kids Only as a strong addition to the canon of joyous traditional kidfolk records bound to be beloved by generations to come. The sweet cowboy lilt of Prairie Lullaby and the sheer glee of the fiddle and jew’s harp accompaniment on Soldier’s Joy, a duet with Colin Meloy, provide ample evidence; the rest of the album yaws between the two extremes fluidly, offering nary a hiccup on its way to kid-friendly, adult-accessible tradfolk greatness. Released last year but only now picking up steam thanks to new promotional outreach from Hearth Music, Lay Down My Burden, the newest release from Seattle-based grandmaster 5-finger harmonica player Grant Dermody, is heavy with the blues, and no wonder: Dermody, who learned at the feet of acoustic blues greats from John Cephus to Honeyboy Edwards, and tours extensively with acoustic bluesfolk powerhouse Eric Bibb, lost his wife, both parents, and his friend and mentor John Cephus during the production of this excellent album. As a consequence, every song rings of an intimate knowledge of both the emotional intensity and the vast diversity found in blues music. 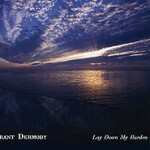 Lay Down My Burden isn’t technically all covers – it features four well-placed originals neatly tucked among the old blues standards and early americana – and the collection of old favorites isn’t perfect (Dermody’s voice, which features prominently in several cuts, is the weakest instrument in the mix). But the songs are crafted with care and authenticity, the diversity of guest artists and friends from Cephas to Bibb is applied quite effectively, and even as it covers a broad ground, the strong, mostly acoustic track list is powerful, indeed, whether it’s the sparse, field-recording feel Dermody brings to traditional and classic cuts such as Hard Time Killing Floor Blues and Twelve Gates To The City, the funkier, grittier barroom blues sound of Lay My Burden Down and acoustic swing number Evening Train, the squeezebox and fiddle of old-time tune David’s Cow, or the haunting mountain holler evoked by banjo, harmonica, and voice in the Dirk Powell cover below. 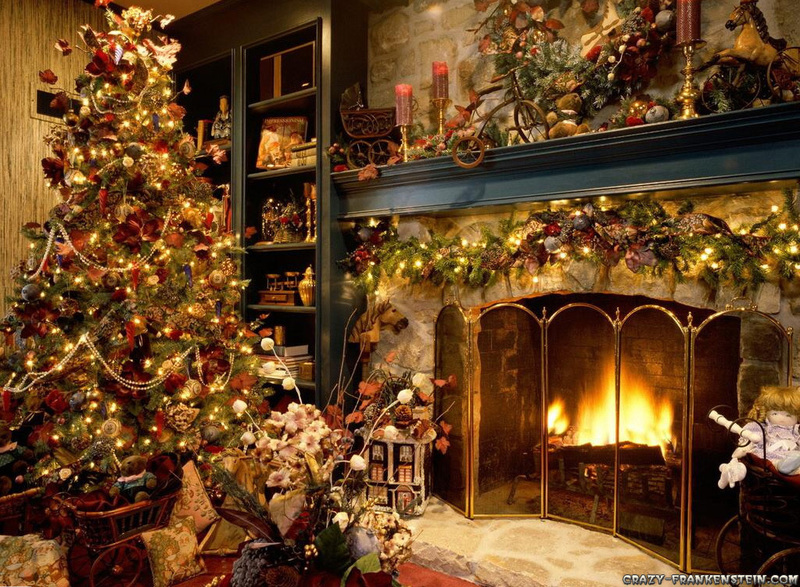 And a bonus: it’s early to be thinking of Christmas, but there’s compilations being mixed out there as we speak. I’m especially keeping an eye on the 826NYC A Holiday Benefit MySpace site (which we mentioned in our subfeature on Bess Rogers) in the hopes of another great volume this year; here’s an especially irreverent track from that series from an artist we discovered just this year, and a tender trio of favorite tracks from Vol. 1 of For Folk’s Sake It’s Christmas, a fledgling series-to-be that’s promised a sequel for the coming season. Cover Lay Down is back on track, with new features and coverage twice a week as the holiday season approaches. Further evidence for the harp as folk instrument: a song I’ve always loved for its power and solace, stripped down into its core heavenly choir by Youtube amateur Mikaela Davis, a harp performance major in upstate NY who is “currently recording at Redbooth Studios” thanks to a successful Kickstarter appeal last month. Singer-songwriter Davis is clearly influenced by Joanna Newsom, though claims for closer kinship with Elliot Smith and Sufjan Stevens are legitimized by video and audio, including a deliciously indie/classical arrangement of Sufjan’s Chicago for harps, bells, trumpet, violins, and voice. But her voice drips with the sweet irreverence of Nellie McKay, and this new arrangement is anything but derivative – rather, it is stunningly simple, effortlessly elegant, and achingly evokative, the perfect song before sleep on a pensive full-moon night. Total bonus points for Davis’ harp-and-vox Copeland cover, too, which trades the radioready emopunk altpop setting of the original for rich layers of crisp harp and voices laid over a slightly warped electro buzz. The result is delicate and disturbing all at once: a tender lullaby for the unsettled set, and a harbinger of greatness to come. It’s been a weird year here in tiny rural Monson, MA, and it keeps getting weirder: after a devastating tornado in June, and a hurricane and flood in August, last week’s freak snowstorm hit us hard indeed, felling thousands of trees across the vast landscape, and knocking out power and phone lines for the vast majority of residents. To help out, once again, I’ll be re-gifting 40% of all donations to Cover Lay Down from now until the end of the month to support local rebuilding efforts – a gift sorely needed, with winter nigh upon us, and scores of local families still living in trailers while they rebuild their homes and lives after this unprecedented trifecta of natural disasters. As for me: after 8 days without heat, running water, stereo system and internet, I’m itching to get back into the fold, and this towering backlog of albums and singles is here to help. So let’s get right back to the music after a week of radio silence with a long-overdue nod to those feature subjects which just keep coming back – a return to our regular (Re)Covered feature series, in which we take on new releases and discoveries which add value to previously-posted explorations of the artists and songs we love. 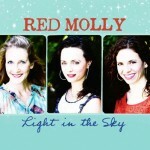 A new release from local fave acoustic folkroots trio Red Molly is always welcome, especially given how effectively their sound has matured with the addition of new member Molly Venter’s achingly adept voice. But I’m kicking myself for not making the connection to last month’s feature subject sooner, given that their new record Light in the Sky, released at the beginning of October and still receiving strong support from the Americana and folk charts, has not one but two Mark Erelli covers, each one a delight of harmonies and folkgrass stringplay, with the banjo, dobro, and guitar eminently equal to the heavenly three-part vocals which have so typified the Red Molly sound since their original inception around the folk festival campfire. 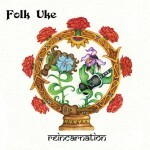 As always, the album offers a predominance of coverage, with a small handful of originals from the ladies interspersed into the mix; as always, the whole run is smooth and heartful, channeling the full range of countryfolk emotion, from angst and anger to hope and heaven, with equal aplomb. But if you’re a regular reader of Cover Lay Down, I suspect I’m preaching to the choir. And if you’re not yet a fan of these ladies after all our past coverage – from our original 2007 feature to this summer’s amazing take on Jack Hardy’s songbook – this pair of covers from the new release should make it clear: you’re long overdue for your own date with heaven. 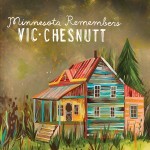 This month’s charity tribute to Vic Chesnutt from Minnesota-based nonprofit Rock The Cause marks the second such tribute since his December 2009 passing, and at least his third overall, if we count the Sweet Relief album recorded live for his benefit over a decade before his passage. But while Cowboy Junkies’ recent full-album tribute Demons recasts the works of this crippled singer-songwriter in fairly predictable (albeit no less successful) washes of alt-country sound, Minnesota Remembers Vic Chesnutt, which drops tomorrow, is diverse and sweet and surprisingly consistent in its success, running the gamut from alt to indie to rock-solid rock, while retaining throughout the tender-yet-grounded lyrical sensibility of Chesnutt’s originals. Featuring 17 tracks from a host of name-brand players – among them Haley Bonar’s amazingly gentle take on Chesnutt’s patriarchal-viewed Pinocchio story, and an utterly stunning, aptly broken solo take on Rabbit Box from Charlie Parr which I’m holding back to tempt purchase, the better to benefit the music-related causes which Rock The Cause supports – the album is sure to please both fans and newcomers; the below singles have both been heard elsewhere, but they’re well worth repeating. Our Folk Family Friday Feature on the Guthrie clan, posted last November, cited Arlo’s daughter Cathy and her performing partner Amy Nelson (daughter of Willie) as key members of the newest generation of performing family members, noting that “the duo, who call themselves Folk Uke, are a bit more punk and a lot more obscene than the rest of their kin, but the music is fine indeed, and firmly grounded in the folk tradition.” Now, six years after their self-titled debut dropped, Folk Uke arrives again with their sophomore release, entitled Reincarnation, on November 22, and we’re happy to call it a tour de force of folk, with special guest appearances from both famous fathers, from producer and multi-instrumentalist Abe Guthrie, and from second-gen singer-songwriter Shooter Jennings to boot. All family connections aside, the duo are excellent singer-songwriters, and indeed, it’s Cathy and Amy who make this record special, grounding it in their signature gentle, airy strum styles and light, whimsical vocals, providing a delicacy that belies their raw, earthy, almost anti-folk sensibility and lyrical truth. There’s love in here, for sure, but it’s a love rich in secular realism, making for an apt addition to the Guthrie/Nelson family legacies, and – from their sparse opening cover of a Harry Nilsson song originally performed by Shelley Duvall as Olive Oyl in the 1980 film Popeye, to the palette of uke, bass, and guitar which tinkle and strum under the clear vocals throughout – a strong, sweet, eminently listenable album in its own right. It was hard to justify running down the power on the iPad while the lights were out, but I made an exception for this amazing Beatles cover several times over. Here’s why: while Brooklynite Bess Rogers, whose new album Out Of The Ocean is buzzworthy enough to have made her the featured ‘Single Of The Week’ artist on iTunes/Japan last week, generally goes for indiepop production with organic, acoustic undertones – much like Ingrid Michaelson, for whom Bess tours as lead guitarist and back-up singer – her take on In My Life, which was originally released as a single this August to little fanfare, is positively etherial, stark and lovely in all the right places, with the uke and harpsichord keys, the layered vocals, and a delightfully clicking beat counterpoint containing all the warmth of the perfect late summer evening. Interesting, how a song we featured this summer in multiple versions as part of our commemorative post-tornado series came back to haunt me once again in the midst of yet another weather-related disaster. Even in the freezing dark, this one kept me warm and smiling. For bonus points, a quick search of the universe reveals several strong albums already under Bess’ belt, plus an equally delicate, warm take on The Beach Boys’ Little Saint Nick from a 2010 all-covers NYC artists’ benefit for the nonprofit urban kids writing collaborative organization 826NYC – our very first Christmas cover of the season – that shimmers with firelight, setting the bar high, indeed. Finally: I only watch one TV show regularly, and I watch it on Hulu, giving me an eight day delay for discovery on this amazingly atmospheric take on Big Star classic The Ballad of El Goodo from up and coming guy/girl folkpop duo The Wellspring. The poignancy may not characterize all their work – the stream on their page which touts their newest EP runs up to full throttle, as befits a band being produced by the same folks that brought you other indie folkpop icons (like Ingrid Michaelson, again, et. al.) – but it certainly brought just the right tone to the final moments of yet another heartbreaking episode of the best damn hospital drama around. And the ringing fullness of its sound pairs perfectly with Evan Dando’s ragged, sparse alternate cover, which we last shared way back in March 2010, when Big Star founder and patron saint Alex Chilton passed on into the big band in the sky. Like what you hear? Then stay tuned, ’cause Cover Lay Down is back in business with more to come! We’ll return later this week and next for more new releases and folk features, including a look at the life and songs of cowboy countryfolk outlaw Guy Clark.